What do Americans think “race” means? What determines one’s race―appearance, ancestry, genes, or culture? How do education, government, and business influence our views on race? 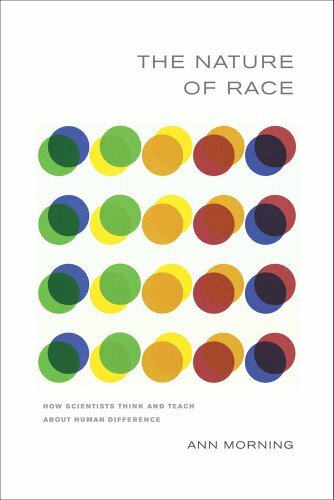 To unravel these complex questions, Ann Morning takes a close look at how scientists are influencing ideas about race through teaching and textbooks. 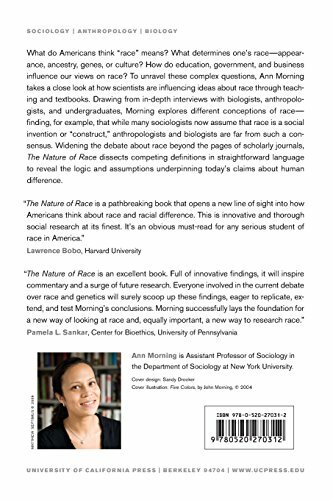 Drawing from in-depth interviews with biologists, anthropologists, and undergraduates, Morning explores different conceptions of race―finding for example, that while many sociologists now assume that race is a social invention or “construct,” anthropologists and biologists are far from such a consensus. She discusses powerful new genetic accounts of race, and considers how corporations and the government use scientific research―for example, in designing DNA ancestry tests or census questionnaires―in ways that often reinforce the idea that race is biologically determined. 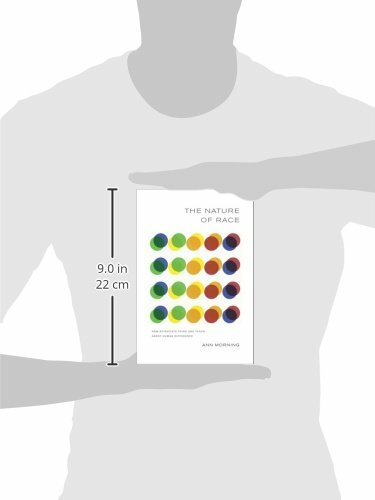 Widening the debate about race beyond the pages of scholarly journals, The Nature of Race dissects competing definitions in straightforward language to reveal the logic and assumptions underpinning today’s claims about human difference.